Wholesale School Bus First Aid Kits, Plastic of Metal, Stretchers, C-collars & more!! 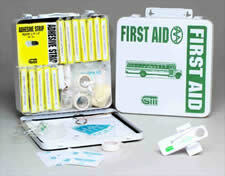 Our School Bus First Aid Kits comply with all states school bus standards. Contents meet the 2005 National Minimum Standard for the school bus industry. 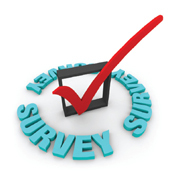 We stay current with all states school bus standards, more current than any other manufacturer. + Contents meet the 1995 National Minimum Standard for the school bus industry. + Dust and moisture-resistant metal container. + Size: 9" x 9" x 2-1/2"
+ Dust and moisture-resistant plastic container. Case Quantity Discount, purchase case of 10 at only $43.99 each!! Case Quantity Discount, purchase case of 5 at only $34.75 each!! Getting out of your vehicle can be a life saving event. The knife on this window can cut through your seat belt and cut away air bags. Bulk Discount, purchase 4 or more at only $10.25 each! + Safe and easy cutting for seat belt and fall protection release. Case Quantity Discount, purchase case of 10 at only $4.59 each!! Case Quantity Discount, purchase case of 12 at only $43.22 each!! Sturdy nylon strap with metal grommets for wall mounting. Self sticking velcro straps on back of nylon bag. Made of strong reinforced PVC material - maximum weight capacity 400 lbs. 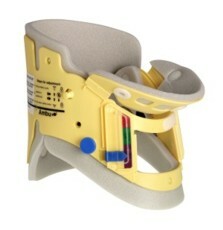 Designed to remove impaired or injured passengers from vehicles. Easily transport around corners in confined areas. Transport victims to a place of safety or into an emergency vehicle. Individuals can use Transport Blanket to drag persons to the nearest exit and to safety. Can be used as a temporary shelter from the elements. 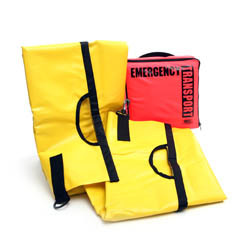 Emergency Transport Blanket, 40" x 72" with Orange Nylon Bag - 9.5" x 9.5" x 3"
The Mini Perfit ACE adjusts to virtually all infant, pediatric and small adult neck sizes with its 12 settings within the three standard Perfit ACE sizes (infant, pediatric and neckless). It is not only an infant or pediatric collar! The Mini Perfit ACE is perfect for small adults with thin necks.The Mini Perfit ACE incorporates latches which allow the rescuer to size the collar accurately according to the patient's exact neck size. Two safety buttons hold the collar in place for maximum reliability.